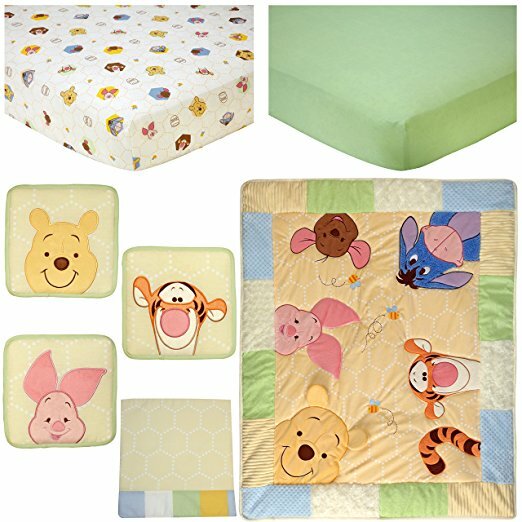 Disney Baby Peeking Poo 7-Piece Crib Bedding Set Includes: 1 Comforter, 2 Crib Sheets (1 multi print & 1 solid sage), 1 Dust Ruffle, 3 Soft Wall Hangings. 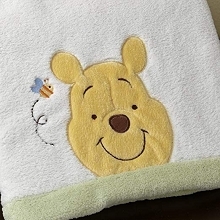 Peek-a-boo peeking Pooh. 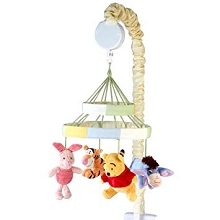 This fun and playful group features Winnie the Pooh, Piglet, Eeyore, Tigger and little Roo all in a game of peek-a-boo. 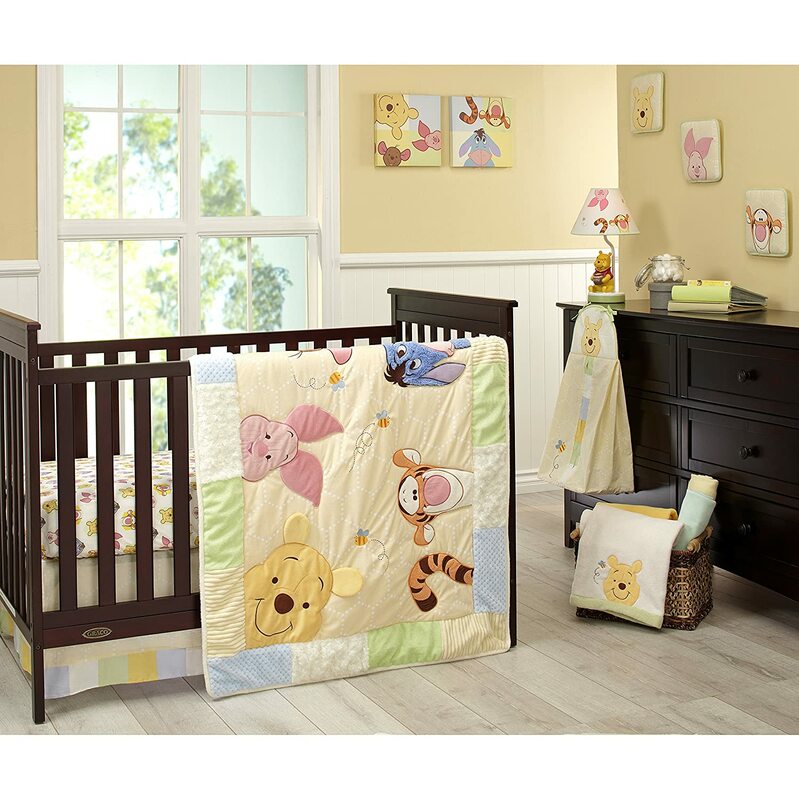 Beautifully crafted in a mix of textured plush and velboa fabrics in gentle shades of ivory, butter, blue, sage, pink, and orange. 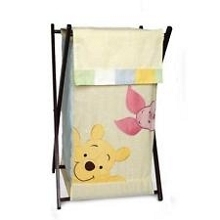 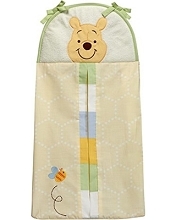 Coordinates with a full line of Peeking Pooh accessories and room decor.